Souvenir: a new ballet with works from the past and present to music from the American songbook and beyond. 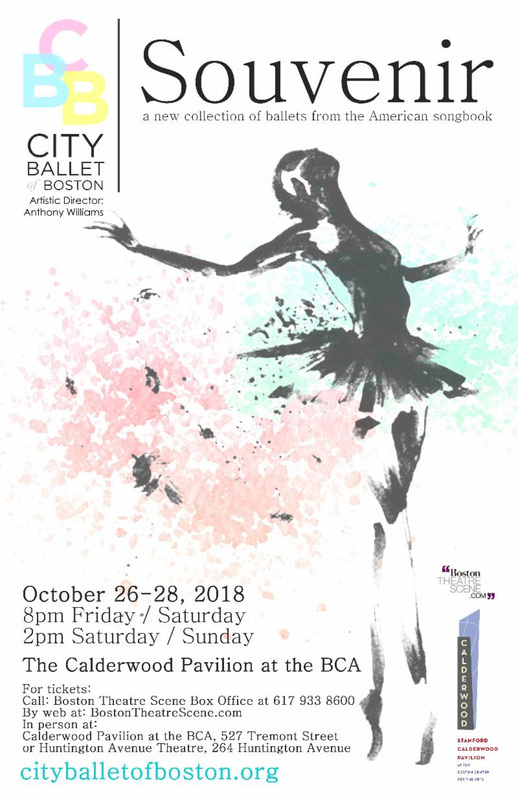 October 26-28, 2018 Tony Williams’ new venture, City Ballet of Boston launches their inaugural season at the Calderwood Pavilion at the BCA with a new show entitled: Souvenir. This presents a selection of songs from the American songbook (and beyond). Music by deBussy, Gershwin, Duke Ellington, Verdi, Chopin, Strauss, Schubert and Brahms accompany dances from the past and present. Our show will be held at the Calderwood Pavilion at the BCA in Boston’s historic South End, 527 Tremont Street, Boston, MA 02116. Tony Williams’ Urban Nutcracker, Boston’s original holiday classic, is back for its 18th season and packed with more magic for the whole family. 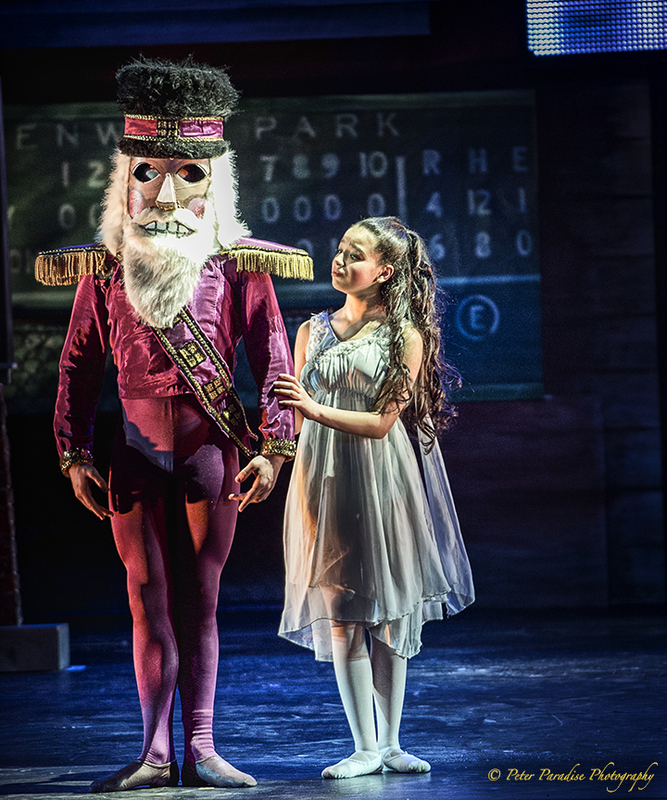 Urban Nutcracker puts a modern spin on the 19th Century fairy tale and transports the audience to an enchanted world not unlike their own. Say hello to Clarice & co…you’ve entered the world of the Urban Nutcracker. Strains of Duke Ellington dovetails with the buzz of neon driven by the heartbeat of Tchaikovsky. You could say it is a fusion of modern, multicultural and classical dance…but it’s more! It’s an organic interpretation brought about by a unifying of cultures. This is how art succeeds. This is why classic ballet, urban tap, hip hop, swing, flamenco, step and jazz blend into something special. A 360-degree dance extravaganza featuring jazz and rock-n-roll music from the 1960s to today told through a plethora of dance styles. A touching human story surfaces as emotion is explored through color–literal and metaphorical– while your senses are stimulated throughout the nightclub-esque venue. The sounds of former eras bring us into our current political and social climate, confronting us with reflections of the past through choreography of today. 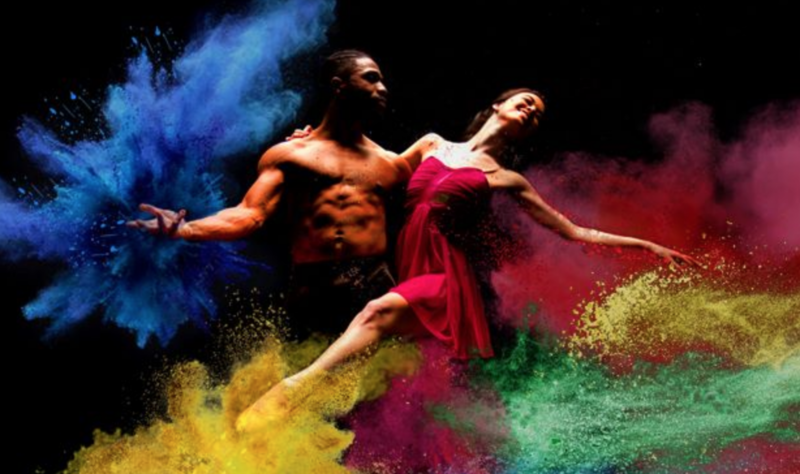 A thought-provoking immersive-dance experience for all ages is compunded with a message of hope and determination for tomorrow’s Life: In Color. Oberon Theater, Cambridge MA, 2017.